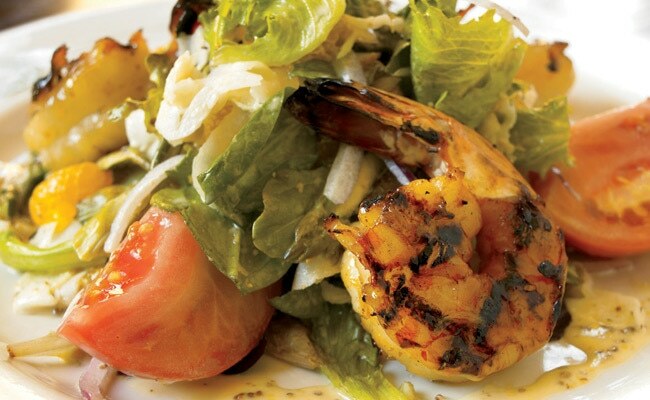 Enjoy a grilled shrimp salad for lunch. Back Bay legend Stephanie’s on Newbury surprised Bostonians four years ago by expanding to the South End after being rooted in one place for 15 years. Now, once again, the brand is expanding, and once again with a bit of a surprise, this time in regard to location: Stephanie’s is headed to Southie. The new Stephi’s in Southie will be on West Broadway. Fonseca says the restaurant group looked at several spaces that were snapped up fast, namely Ming Tsai’s Blue Dragon on A Street and Eric Aulenback’s Lincoln Tavern & Restaurant on West Broadway. But a long-term customer of the Newbury Street location suggested taking a look at a project for which he was the broker, and it was a fit. The 160-seat space, which has frontage on both West Broadway and Dorchester Avenue, will include a huge horseshoe-shaped bar with high-tops. Stephen Sousa, the architect of Stephi’s on Tremont, is designing the new space, complete with kitchen bar seating so diners can watch the chefs in action.